You'll find plenty of places to visit near Seattle: Tacoma (Point Defiance Zoo & Aquarium & Point Defiance Park). Dedicate the 17th (Mon) to wine at some of the top wineries in the area. Next up on the itinerary: explore the world behind art at Chihuly Garden and Glass, meet the residents at Seattle Aquarium, see the interesting displays at The Museum of Flight, and take in nature's colorful creations at Bellevue Botanical Garden. To see where to stay, other places to visit, ratings, and other tourist information, you can read our Seattle day trip tool . In December, daytime highs in Seattle are 47°F, while nighttime lows are 37°F. Finish up your sightseeing early on the 22nd (Sat) so you can travel back home. Start off your visit on the 23rd (Sun): kick back and relax at Poipu Beach Park, take in the dramatic natural features at Spouting Horn, then look for gifts at Aunty Liliko'i, and finally get great views at Waimea Canyon State Park. Here are some ideas for day two: get up close to creatures of the deep with a dolphin and whale watching tour and then see the world from above with a helicopter tour. For photos, other places to visit, more things to do, and other tourist information, use the Waimea trip maker tool . Do a combination of flight and taxi from Seattle to Waimea in 8.5 hours. Traveling from Seattle to Waimea, you'll gain 2 hours due to the time zone difference. Expect much warmer temperatures when traveling from Seattle in December; daily highs in Waimea reach 79°F and lows reach 66°F. Finish your sightseeing early on the 24th (Mon) to allow enough time to travel to Honolulu. 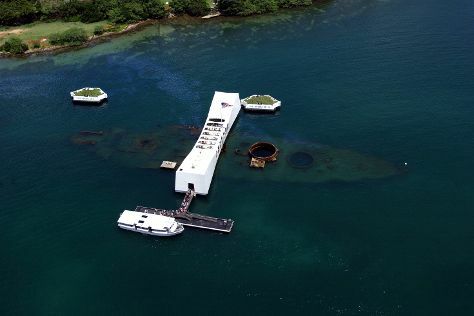 On the 25th (Tue), contemplate the waterfront views at Hanauma Bay Nature Preserve, then go for a walk through Diamond Head State Monument, and then explore the different monuments and memorials at USS Arizona Memorial. On your second day here, explore the different monuments and memorials at National Memorial Cemetery of the Pacific and then enjoy the sand and surf at Waikiki Beach. To find maps, photos, reviews, and more tourist information, refer to the Honolulu tour website . You can do a combination of taxi and flight from Waimea to Honolulu in 3 hours. In December, daytime highs in Honolulu are 82°F, while nighttime lows are 69°F. Wrap up your sightseeing on the 26th (Wed) early enough to travel to Lahaina. Kick off your visit on the 27th (Thu): enjoy the sand and surf at Ka'anapali Beach, take in the architecture and atmosphere at Maria Lanakila Catholic Church, and then don't miss a visit to Lahaina Banyan Court. On your second day here, admire nature's wide array of creatures at Maui Ocean Center, then see majestic marine mammals with a dolphin and whale watching tour, and then stroll through Ho'okipa Beach Park. For other places to visit, reviews, more things to do, and other tourist information, you can read our Lahaina trip itinerary planner. Do a combination of flight and bus from Honolulu to Lahaina in 3 hours. Alternatively, you can do a combination of flight, taxi, and ferry. 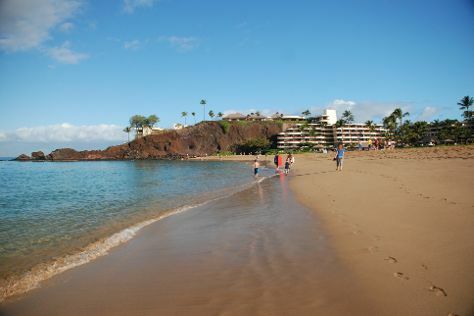 In December in Lahaina, expect temperatures between 78°F during the day and 68°F at night. Finish your sightseeing early on the 28th (Fri) to allow enough time to travel to Kipahulu. On the 29th (Sat), admire all the interesting features of Hana Highway - Road to Hana. To see traveler tips, photos, maps, and other tourist information, read Kipahulu road trip planning website . Getting from Lahaina to Kipahulu by car takes about 3 hours. December in Kipahulu sees daily highs of 82°F and lows of 66°F at night. Wrap up your sightseeing by early afternoon on the 30th (Sun) to allow time for travel back home.